The Barton family needs no introduction. They are one of only two to still own a Médoc classfied growth from before the 1855 classification. In fact, make that two: Château Léoville-Barton and Château Langoa-Barton. I was therefore very intrigued to find out about the estate that the family had purchased in Moulis in 2011, Château Mauvesin-Barton. I went to visit the estate last week and was warmly greeted by Mélanie Barton-Sartorius. Mélanie has paid her dues, having studied in both Bordeaux and Dijon. She is a qualified enologist and in complete charge of Mauvesin – quite a responsibility for someone so young. Coming from such a distinguished background, Mélanie is the polar opposite of what one might expect. She is personable, easy-going, and very enthusiastic. Mauvesin-Barton has 60 hectares of vines, and there are a further 150 hectares of forest. This means that the Bartons now account for 10% of all the wine produced in Moulis. I asked Mélanie if there were such a thing as a shared profile, a typicité for Moulis. She tended to think this was not the case, but liked the expression that I believe was coined by Belgian wine writer Jo Gryn: les Margaux de l’intérieur. Located just outside the small city of Castelneau-de-Médoc, Mauvesin-Barton was in need of serious renovation, and a great deal of work has already been done on the château, the cellars, and the vineyard (46% Merlot, 36% Cabernet Sauvignon, 16% Cabernet Franc, and 2% Petit Verdot). There were many missing vines, so these were replanted. The soil has a large clay component. I tasted two vintages: the 2011 and the 2012. The former was largely the work of the previous owners. It was light, simple, and refreshing. The 2012 has more substance and is more elegant – a great start for the new regime. 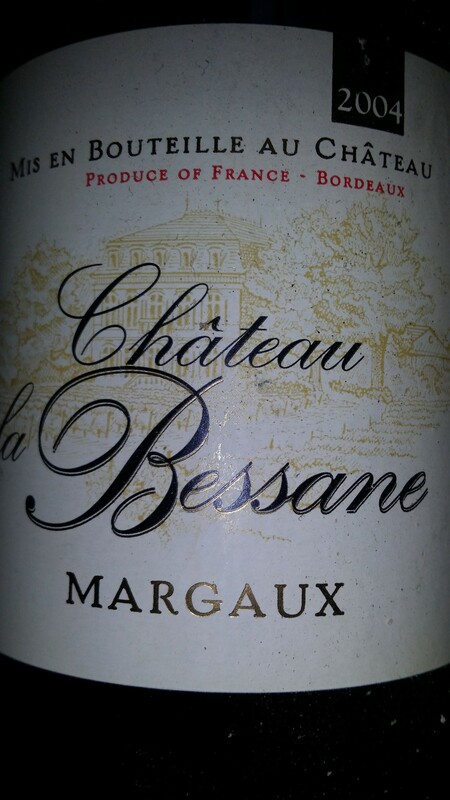 People often think that Bordeaux is old hat, that things rarely change. Mauvesin-Barton shows that nothing can be further from the truth. And it is always wonderful when a low-profile estate is taken in hand and turned around, which seems very much the case here. I’ll be very interested to follow the wine in the coming years. Posted in Uncategorized on April 20, 2015 by AlexR. I’ve long been a fan of Fonréaud and its sister château across the road, Château Lestage, both owned by the Chanfreau family, who made wine in Algeria before they came to the Médoc. Listrac is a small appellation that does not have much of an identity with wine lovers. There are nevertheless some fine estates there. Fonréaud has 38 hectares of vines (52% Cabernet Sauvignon, 45% Merlot, and 3% Petit Verdot). The château also makes a rare white Médoc (AOC Bordeaux) Le Cygne Blanc. The color was showing its age, and then some, with a brown rim. The bouquet was the best part of the wine, showing sweet, subtle fruit and some humus overtones. The taste was of aged Cabernet, in an old-fashioned style. The rich, velvety attack proceeded to turn dry, grippy, and austere, without the richness one would hope for in this great vintage. This is the sort of wine that is fine with food, but judged on its own, I would have to be fairly severe. Of course, this is a reflection on one wine, not on the estate as a whole. It makes me want to try a younger vintage soon! 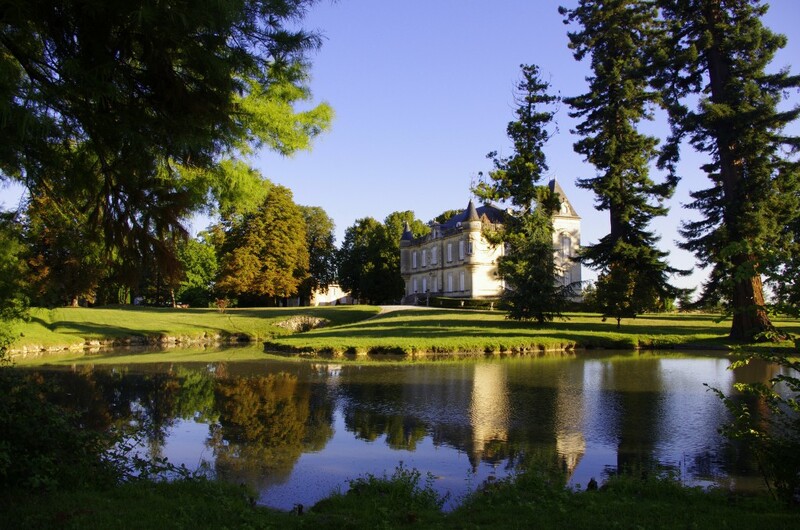 Dating back to the 17th century, Issan is one of the loveliest châteaux in the Médoc. The estate’s history goes back to the Middle Ages. As one of ten third growths in Bordeaux, its reputation is better than most. Associated with the Cruse family since 1945, a new partner appeared in 2013 when Jacky Lorenzetti (owner of Ch. 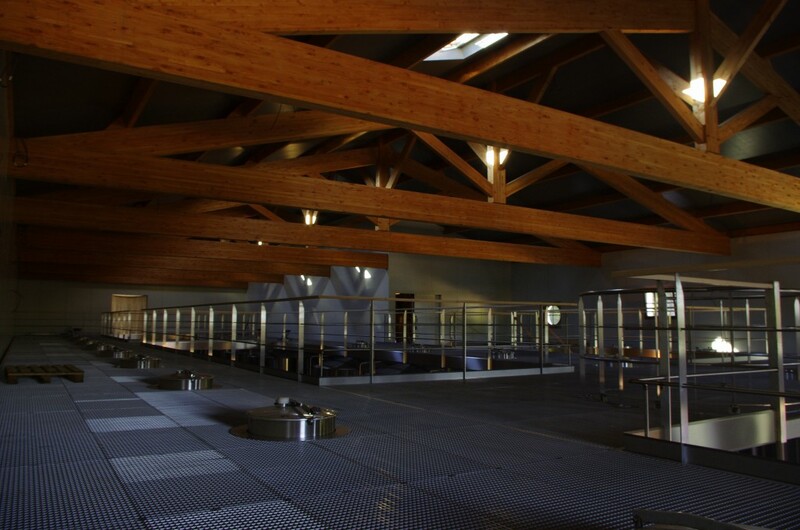 Pédesclaux in Pauillac and Château Lilian Ladouys in Saint-Estèphe) acquired a 50% shareholding. Coming to the conclusion that most 2004s are ready to go, I opened and decanted this 2004 d’Issan two hours before drinking. The color is of medium intensity. There’s still some purple there, and good legs. The nose is sweet and ethereal, with humus, raisiny, and menthol nuances, as well as a pronounced smell I can only describe as lead, which I tend to attribute to appellations further north… As beguiling as the nose is, the wine disappoints on the palate, which is medium-long and refreshing, but dips on the middle and becomes angular. The lead aromatics follow through. This wine is like an overly thin top model. It will hold for quite some time thanks to the acid backbone, but will always lack generosity and richness. 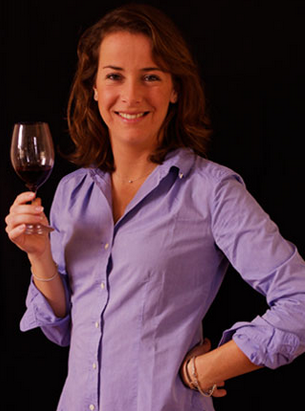 Martine Cazeneuve is the driving force behind the 32-hectare cru bourgeois Haut-Médoc, Ch. Paloumey in Ludon, between La Lagune and Cantemerle. I’ve always been a fan of Paloumey. Madame Cazeneuve also owns 3 hectares in Cantenac, in the Margaux appellation. Ch. La Bessane is little-known because it is so small. It is also off the beaten track because it has a very unusual mix of grape varieties: 50% Petit Verdot (! ), 30% Cabernet Sauvignon, and 20% Merlot. The 2004 is a very deep purplish-red and a little fuzzy on the rim. My notes for the nose come in two stages. 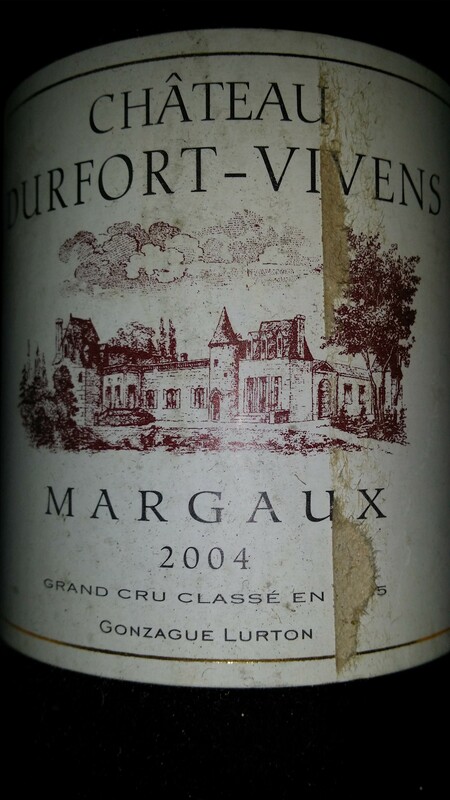 After two hours in the decanter, the bouquet was rather dumb, with caramel overtones. However, after another 4 hours it was singing, with pure, subtle, seductive, black cherry and pipe tobacco aromas. My better half tasted the wine blind and did not think it was a Bordeaux. I’m not really surprised because one doesn’t often come across such a huge percentage of Petit Verdot. The wine seemed big and brooding on the palate at first, but with increased aeration showed a sappy cherry quality, followed by an acid zing. Although many of the 2004s I’m drinking are not going anywhere, 2004 Ch. 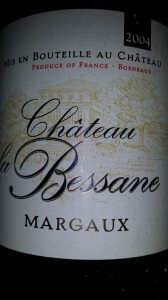 La Bessane definitely has more to deliver in the coming years. Posted in Uncategorized and tagged Bordeaux, Margaux on April 8, 2015 by AlexR.